Smooth silver surface, high band style, laconic design and adjustable width make the Elizabeth ring a versatile and modern accessory. The front part of the ring is embellished with rows of equal tiny black crystal studs. 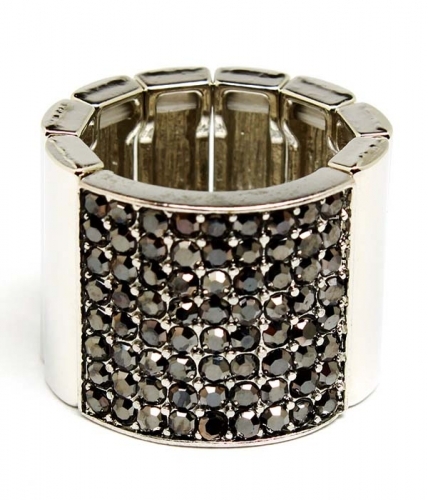 Buy this beautiful band ring and add it to your collection of fashion accessories today.